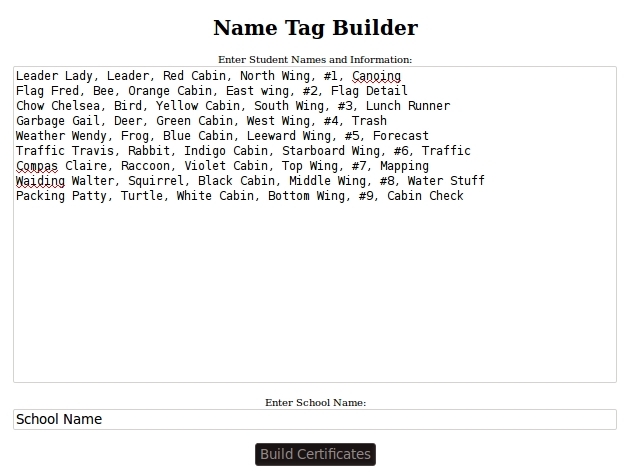 I decided to go the same route I did for the reading certificates and make a jQuery web page for my son’s teacher to build all the nametags for this years camping trip. 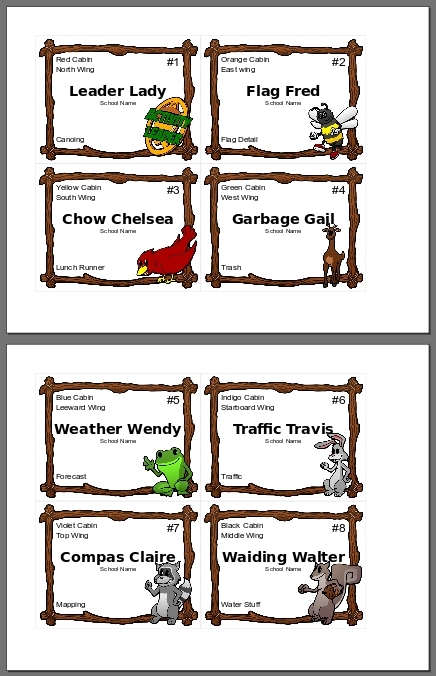 All she had to do was figure out the kids names, groups (animal picture), cabin info, table number, and job in a spreadsheet. Then, she can save the spreadsheet as a comma separated file, and paste the whole thing in this web page. The page sets up four nametags per sheet and hides the controls when you print it. This entry was posted on November 5, 2010 at 7:00 pm and is filed under Doodles, Web Stuff. You can follow any responses to this entry through the RSS 2.0 feed. You can leave a response, or trackback from your own site.